In a Joint Intelligence Bulletin, members of the intelligence community highlighted the growing threat posed by white supremacists and the rise of extremist violence in the United States, months before the violent clashes and subsequent deaths in Charlottesville, Virginia on Saturday. The bulletin, dated May 10, 2017 and posted by Foreign Policy on Tuesday, provided what the agencies described as "new insight into the targeting preferences of white supremacist extremists" and the current state of white supremacist-related violence in the country. The briefing, a joint effort by the FBI and the Department of Homeland Security (DHS), detailed their efforts to deter, prevent and disrupt potential terrorist attacks in the U.S and its authenticity has been confirmed by CBS News. While the intelligence community and Department of Justice have since vowed to investigate the weekend's violent events, the May report found that the white supremacist movement was likely to become increasingly violent. "We assess lone actors and small cells within the white supremacist extremist (WSE) movement likely will continue to pose a threat of lethal violence over the next year," the report read. The findings were based on reviews of lethal and potentially lethal incidents of extremist violence from 2000 to 2016. The report's release comes after President Trump came under fire for blaming "both sides" for the violence in Charlottesville. On Monday, Mr. Trump formally denounced hate groups following the clashes. 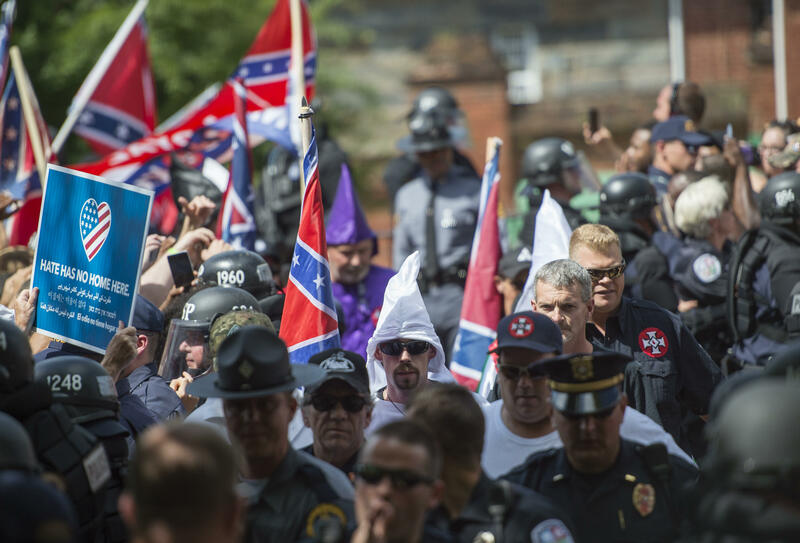 The perpetrators of violence in 2016, the report found, included members of racist skinhead groups, Klan members and "individuals who lacked group affiliations." The report also noted that white supremacists targeted racial or religious minorities including Hispanics, African-Americans, a Chinese student and one person "perceived to be Jewish" in 2016. "Adherents of the WSE movement view these persons as legitimate targets, as they pose a threat to, or reflect poorly on, the white race. Other targets have included persons or facilities associated with government and law enforcement," the report added. The intelligence report found white supremacists were responsible for 49 homicides in 26 attacks from 2000 to 2016, more than any other domestic extremist movement during that time period. It concluded in their overall assessment that "violence over the next year very likely will derive from the capabilities of lone offenders or small cells, rather the resources of larger groups" due to the white supremacist movements' lack of clear organization or direction. Similar to the weekend's violent events, which evolved from a white supremacist rally into a car attack against counter-protesters, the report noted that future violence would likely continue to be "spontaneous and involve targets of opportunity."